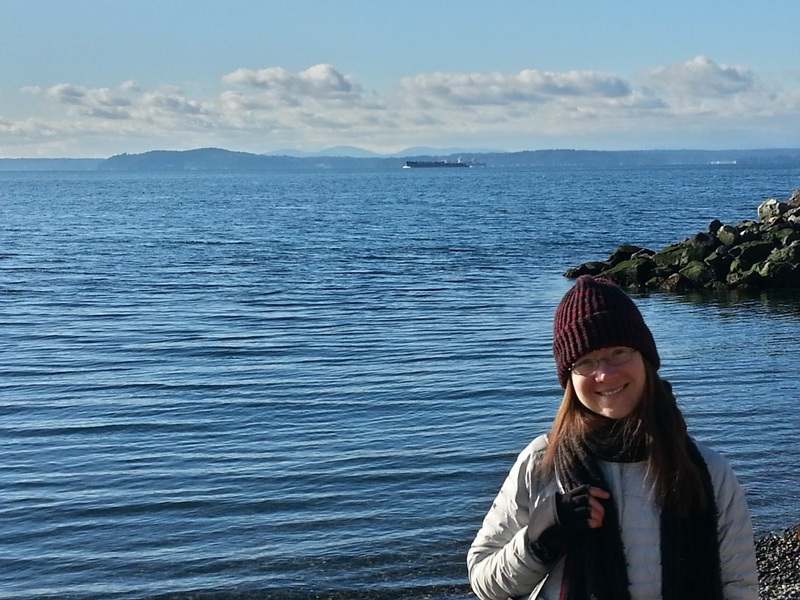 Lyssa sent me this beautiful photo from Puget Sound. Seattle-ish. It was my first attempt at mailing someone a hat they hadn't gotten to try on yet. AKA: I picked the hat. Usually, my mantra, much like Ollivander's, is "You don't pick the hat; the hat picks you." So it was a little bit of a risk for me. Lyss, you look so beautiful, and I'll make sure to get you another hat that fits someday, too.